System Open events for X-Wing™ are massive, high-energy tournaments and community gatherings held at conventions and other large, public venues around the world. Attend one of these events, and you will revel in fast-paced starfighter battles, meet the most enthusiastic members of the X-Wing community, take aim at custom prizes, and test yourself against the game's top aces. 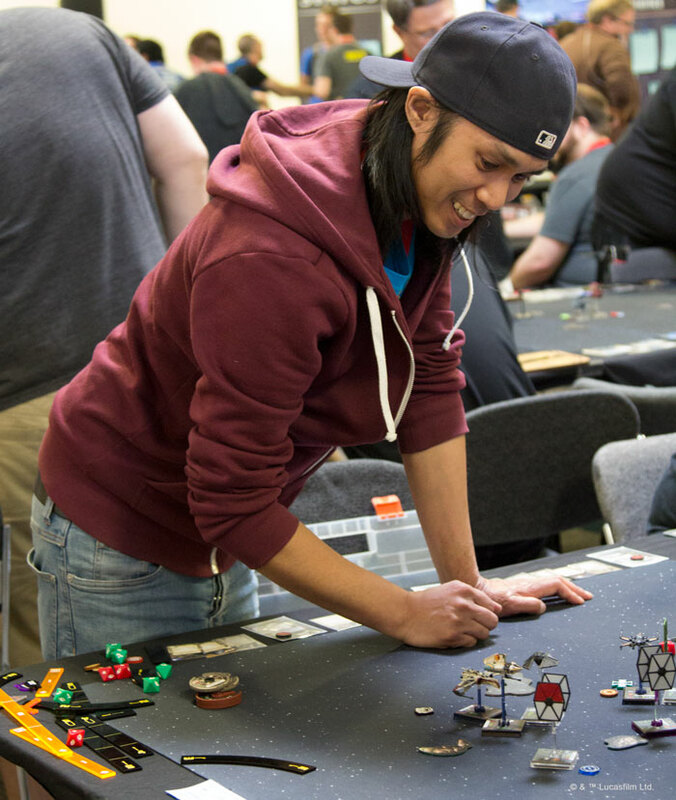 System Open events include both top-level competition and side events that are perfect for new players, both of which allow you to compete for some of the year's coolest X-Wing prizes! Additionally, if you have any desire to see how the game is played at its very highest level, you will absolutely want to make your way to one or more of these events—because securing a Top 8 finish in a System Open will earn you an invitation to the X-Wing World Championships. Previous events in the System Open Series have shattered tournament attendance records, and we're looking forward to seeing what the upcoming System Open Series brings to your enjoyment of X-Wing™ Second Edition and X-Wing Organized Play! Be sure to follow the links below for more information about the System Open Series, System Open tournaments, Hyperspace Qualifiers, Hangar Bay Pods, event structures, prizes, and more! Learn how the events are structured. Preview the prizes at stake.